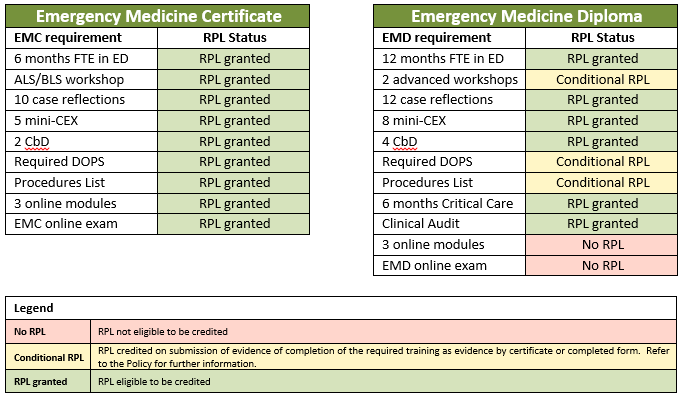 Please fill out the below form to get an indication of the modules and assessments that would need to be completed to achieve the Emergency Medicine Certificate, or Emergency Medicine Diploma. Please contact trainee.advocate@acem.org.au or call 03 9320 0444 to determine what category of RPL you fall into under the Policy for Transition from the FACEM Training Program to Non-Specialist Training Programs. The information below is indicative, but not a final confirmation of your eligibility for RPL. Based on your answers, you are a Category A trainee. 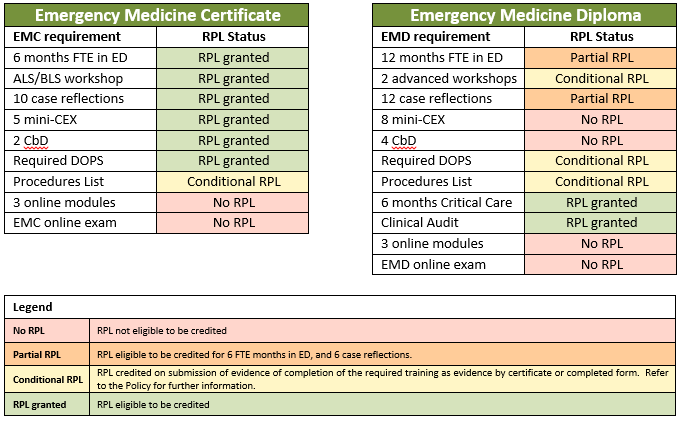 You would not be eligible for Recognition of Prior Learning (RPL) for the training you have undertaken in the FACEM Training Program (FTP); however, RPL may be granted for advanced workshops on the presentation of a current and valid certificate(s) of competency from the relevant course(s) provider. Please refer to the Policy for Transition from FACEM Training Program to Non-Specialist Training Programs for full details. Your eligibility for, and the granting of, any RPL will be determined by the COE approved delegate upon review and assessment of your application, supporting documents and your ACEM Training Record. Based on your answers, you are a Category B trainee. You may possibly be granted Recognition of Prior Learning (RPL) for some components of the training you have undertaken in the FACEM Training Program (FTP). 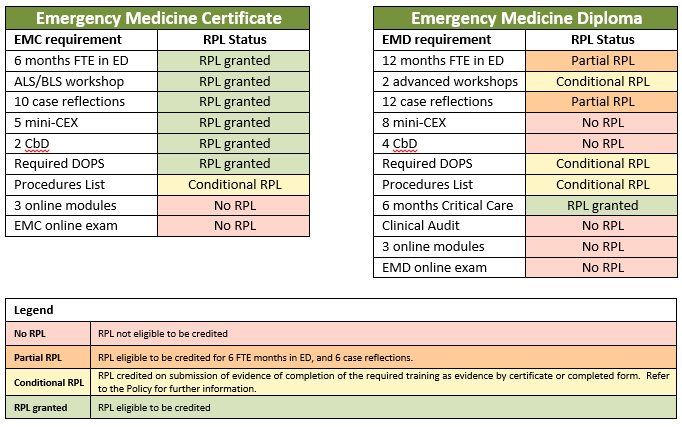 Please refer to the Policy for Transition from FACEM Training Program to Non-Specialist Training Programs for full details. Based on your answers, you are a Category C trainee. You may possibly be granted Recognition of Prior Learning (RPL) for some components of the training you have undertaken in the FACEM Training Program (FTP). 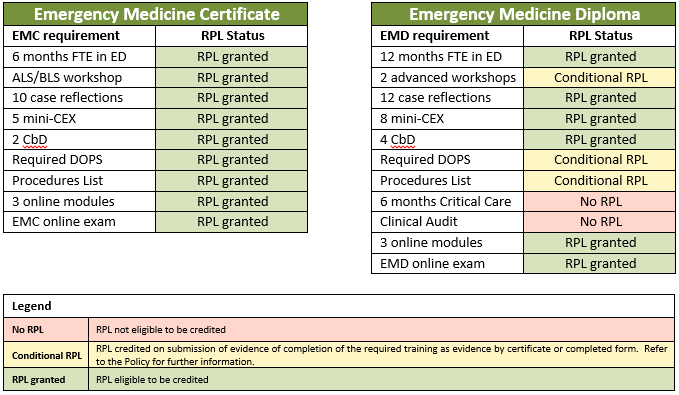 Please refer to the Policy for Transition from FACEM Training Program to Non-Specialist Training Programs for full details. Based on your answers, you are a Category D trainee. 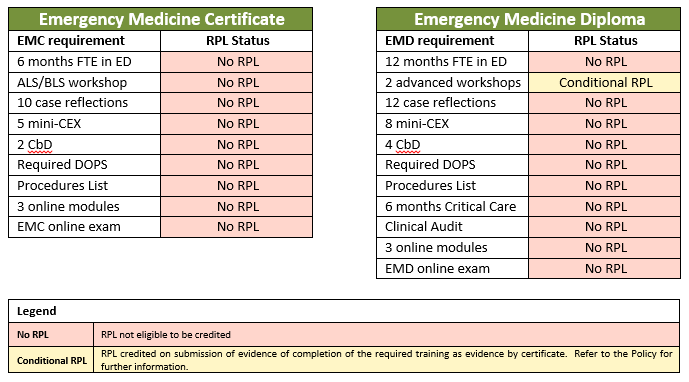 You may possibly be granted Recognition of Prior Learning (RPL) for some components of the training you have undertaken in the FACEM Training Program (FTP). Please refer to the Policy for Transition from FACEM Training Program to Non-Specialist Training Programs for full details.